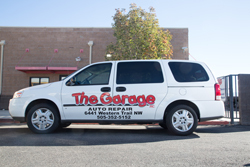 The Garage, Locally Owned & Operated, Award Winning Auto Repair! 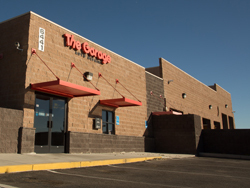 The Garage has been providing customers in the Albuquerque, NM 87120 area with high-quality automotive maintenance and repair services since 2003. 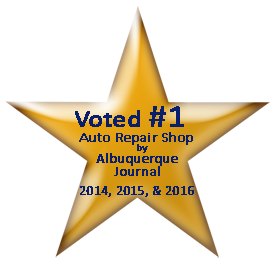 After nine short years we have emerged as the winner of the Albuquerque Journal's 2014 Reader's Choice Award for the Car Repair category, and more recently won the 2015 and 2016 award as well. That's three years running as the winner! We provide a range of services, including General Services, Car & Truck Care, Emission Repair, Undercar Services, Power Steering Service & Repair, Alignment, Brakes, Tires, Engine & Transmission, Gasoline & Diesel Engine Maintenance, Transmission Services, 4x4 Services, A/C, Heating & Cooling Services, Electrical Services, Computer Engine Diagnostics & Reprogramming, RV, Motor Home & Miscellaneous Services, Domestic Cars & Trucks, Import Cars & Trucks, Towing Services, Quick Lube Services, Fleet General Services, Fleet Engine Work, Fleet Brakes, Fleet Tires, Fleet Electrical, Fleet Electronics, Fleet Suspension Work, Fleet Drive Train, Fleet Front End Services, Fleet Wheel Services and Fleet Trailer Work. We're proud of our great mechanics, who have years of experience working on many different types of vehicles. They have the knowledge required to diagnose your problems, and to find affordable solutions to get you back on the road quickly. If you'd like to get a free estimate to get an idea of what it might cost to service your vehicle, you may do so by either calling our office at 505-352-5152 or with details about what you need, and we'll be happy to reply in 24 hours or less. Be sure to ask to speak with Chris, Ray or James. To learn more about our services, call us at 505-352-5152 or today. You're always welcome to leave your car and we'll be happy to provide you with a FREE comfortable ride back home, or wherever you need to go. 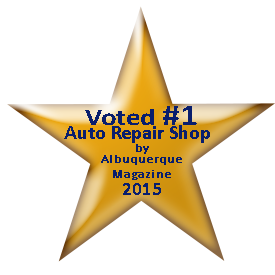 We're looking forward to earning your trust as a friendly, honest and reliable alternative for your auto maintenance and repair needs in Albuquerque.